Kigelia Ruaha is located in the best game area of Ruaha National Park. 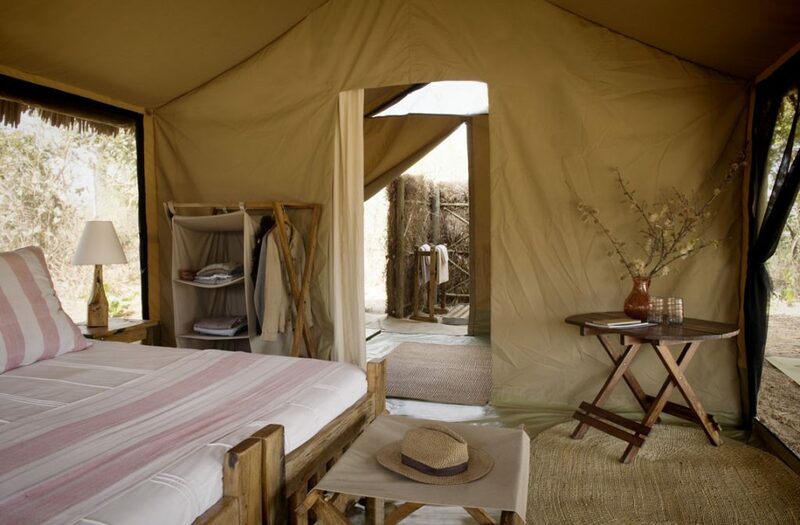 The camp has 6 large well furnished tents which well furnished with locally crafted pale wood furniture and there’s a hot safari-style bucket shower under the stars (the showers are en-suite but outdoors), and a flush loo. 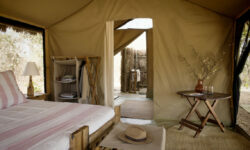 One of the tents is the family tent which has two adjoining en-suite bedrooms. The tents are airy set beneath the Sausage Tree ( Kigelia Africana ) after which the camp was named. The camp has its own charm and simplicity, forcing you to soak up all the surroundings. Falling asleep hearing the rasping of the Leopard or lions roaring give you the magical feeling of being up close to nature. 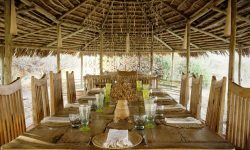 The camp offers simple but tasty feasts which are served in the intimate dining tents or better still under the stars. SEASONS: June to September; warm days and cool nights, best time of year for walking safaris. Great elephant and buffalo sightings. October-November: heavy concentrates of game around the inland lakes, weather dry and hot. December-March: prolific bird life, many animals calving, weather starts to get humid, with possibility of rain. Children over the age of 8 are welcome. Over 12yrs will be allowed to take part in walking safaris. Kigelia Ruaha is open from June until March each year, please contact us for exact opening dates.